Brush up on your World Cup knowledge, get the latest rumours on hardware from Microsoft and Samsung, learn how Apple is making future iPhones impenetrable and more in our daily roundup of the hottest tech news... all courtesy of our friends at TechRadar. If the rumours are to be believed, Samsung will shortly be unveiling another premium smartwatch ready for your wrist, called the Galaxy Gear S4. A couple of new leaks just arrived – namely that it's going to have a much bigger battery than its predecessor, so it can keep going for longer, and that the watch will be available in black, silver or gold. What is Mozilla planning next? Firefox developer Mozilla has begun work on a new project called Scout that could change the way you browse the web. 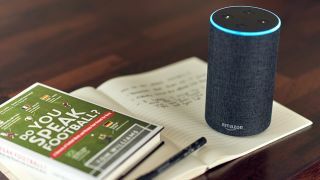 It's an attempt to "start to explore browsing and consuming content with voice", according to an internal memo, and Mozilla says it will have more to share soon – would you want to use your browser just like you do your Amazon Echo? Apple doesn't want anyone getting into your iPhone, whether that's a criminal or a representative of the FBI. With the roll out of iOS 12, Apple says it's going to limit the way that its handsets can be accessed over USB – such connections will time out after an hour, making it much harder to brute force a PIN code or steal data from the internal storage. The 2018 World Cup gets underway today in Russia, and to mark the occasion Amazon has rolled out a new set of features in Alexa to help you get more out of the tournament. You can now ask your Amazon Echo (or other Alexa-enabled device) all about player positions, previous results, popular football phrases, current scores in games and more besides. Microsoft has so far been pretty good at updating its Surface Pro devices, and apparently there's a major redesign on the cards for 2019 – that's according to insider sources with knowledge of Microsoft's plans. We don't know exactly what the redesign is going to involve at this stage, but something thinner, lighter and more ergonomic is likely.